Wash the medlars and cook them in water until soft. Pour off the water. 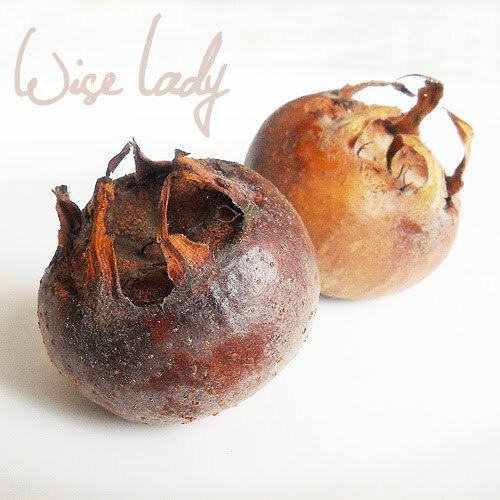 Make puree with a strainer from medlars. Let it cool. Add the starch and honey to the puree. Mix them. Preheat the oven to 180 Celsius (340 F). Mix flour, cocoa and salt in a bowl. Beat egg yolks, sugar and soft butter with the mixer. Add the dry ingredients to the mixture. Add sour cream, vanilla, rum too and stir them well. This dough will be thick and creamy. Spread the dough in the pan. Spread the medlar puree on the top of the dough. Bake the cake for 15 minutes. While the dough is baking beat hard foam from the egg-whites, add the vinegar and sugar. Beat them very well. Pull the dough out of the oven. Spread the foam on the top of the dough. Make a nice pattern on the top of the foam with a fork. Bake it in the oven for another 5-7 minutes. 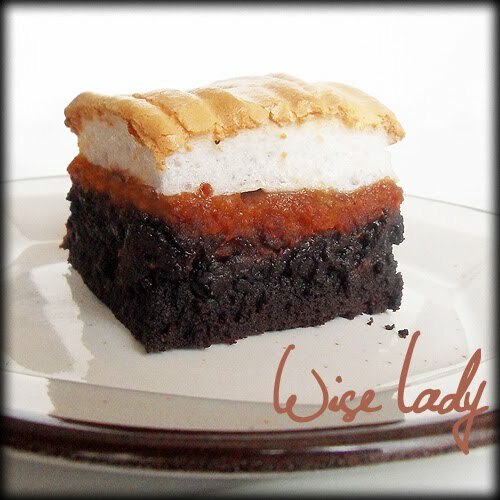 Let it cool and cut 5x5 cm (2x2 inch) cubes. It's realy, only 50 g flour for dough? Yes, oven size only 15x22cm, small portion.